Taking a job as a news anchor for the brand-new music channel Revolt TV—and moving from his native New York City to Los Angeles—was a huge change for this blogger, filmmaker, and Bar-certified attorney. 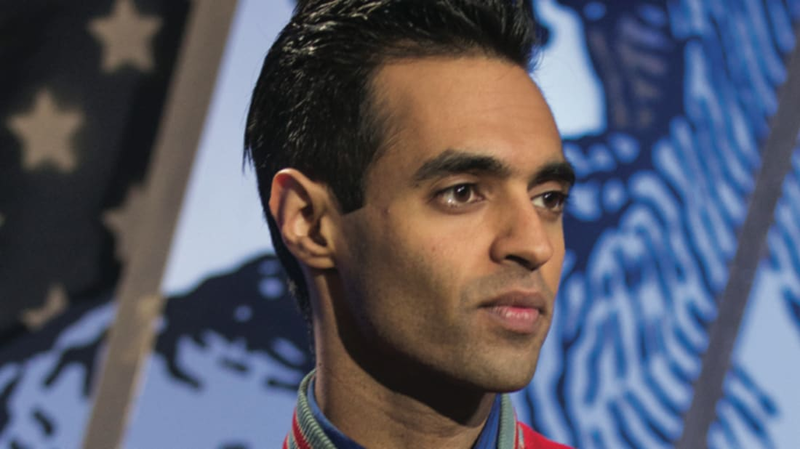 SIngh reveals what his new creative life is like, on-air and off. At the moment I’m in a boot camp of sorts, learning a new craft. I study myself and people I’ve admired my entire life. Matt Lauer. Anderson Cooper. Anthony Bourdain. Food for him becomes a lens to discuss the world. What he’s done with food is what I intend to do with music. My day isn’t really up to me. My talent manager will send out a call sheet a day in advance to give me an idea of when I need to report where. It’s different from blog life. I’m mostly acting in an anchor capacity, but I do on-location stuff too. We’re in the studio by 9 or 10 a.m., and we do live news on the hour. In the gaps we’re filming other segments, talking about Billboard charts, interviewing people like M.I.A., talking about a specific artist or industry sales trend. We’re learning to get our balance. My guitar is in the corner collecting dust. But music pervades every moment of my existence. My entire day is soundtracked and my thought process is as well. For me, it’s a way to understand the world, to learn about people and what they value. I like buying concert tees; it brings another degree of tangibility to my love for music. When I’m interviewing an expert or delivering the news, I take it upon myself to learn about the subjects. It’s impossible to write every word you speak on TV, but you need to know what you’re talking about. I’m a vegan in real life, but I’m omnivorous when it comes to information. I’m constantly studying. I’m on my laptop or my phone between takes. The New York Times is my go-to. I also like Ezra Klein and Ta-Nehisi Coates. I read The New Yorker online, and I try to read the magazine. I have a robust RSS feed. It’s weird how much Instagram has become a thing I actually learn from. There’s always going to be people posting photos of their pets, their meals, themselves, and sometimes even that can be informative. But what I’m thinking about is how artists are using it as a way to document their reality and make announcements. Even if it is pure vanity, you’re getting a sense of where this person is in a particular moment. So much of what we’re doing at Revolt is about music, but it’s also about the culture surrounding it. My own selfie game has grown through the roof. Now that I’m on camera all day, I’m much less precious about distributing images of myself. I meditate every morning. I’ve been doing that for a decade. It clears out a lot of the junk. My nose is so close to the grindstone it can be difficult to find the space to have big ideas. In New York, walking on the streets or being on the subway, those are meditative moments, where you can watch the city rush by and hear yourself think. There’s no predictable way to create those, but they do come—on my drive home, for example. I try to create the times within the times.